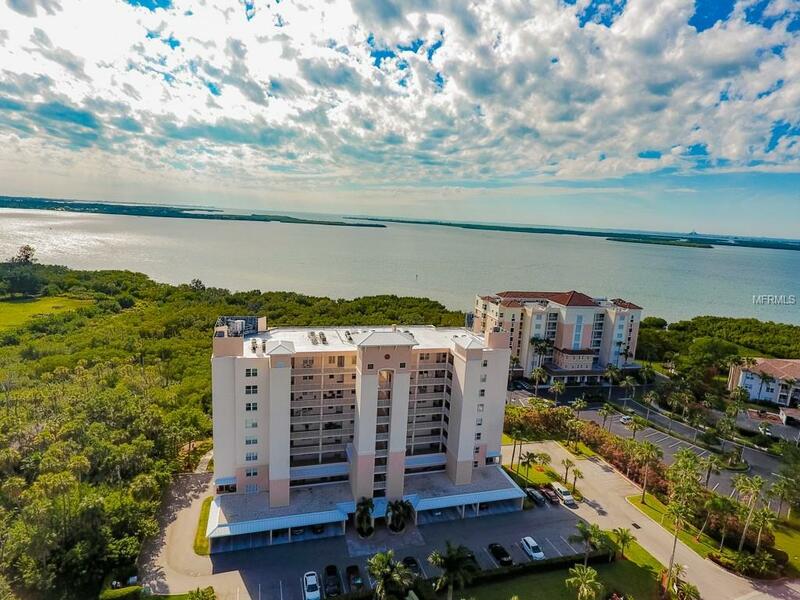 Stunning unobstructed views of Terra Ceia Bay from this rarely available top floor unit. 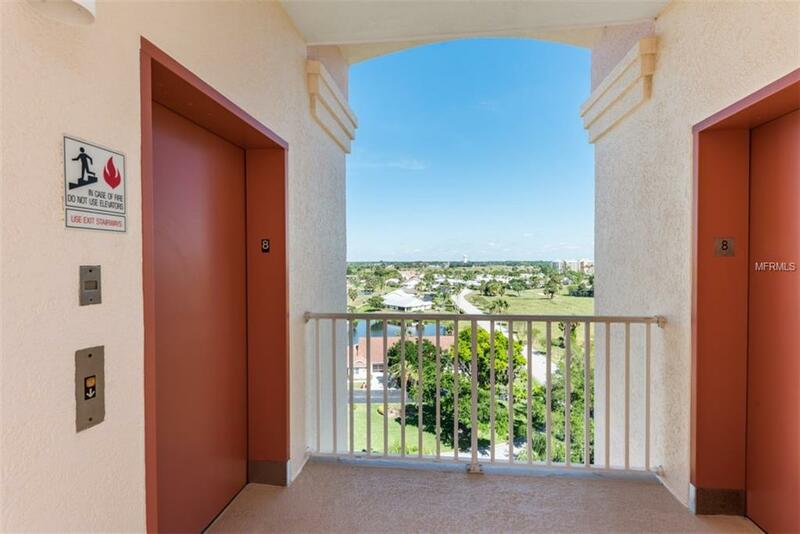 Enjoy the spectacular sunsets from your private lanai, master bedroom, or living room area. Ceilings are near 10 feet, granite counter in the kitchen, and hurricane grade sliding doors on the lanai. The master bath has two vessel sinks over granite and the second bath includes a vessel sink on the granite counter top. Within the building, there is assigned covered parking and storage right outside your front door. 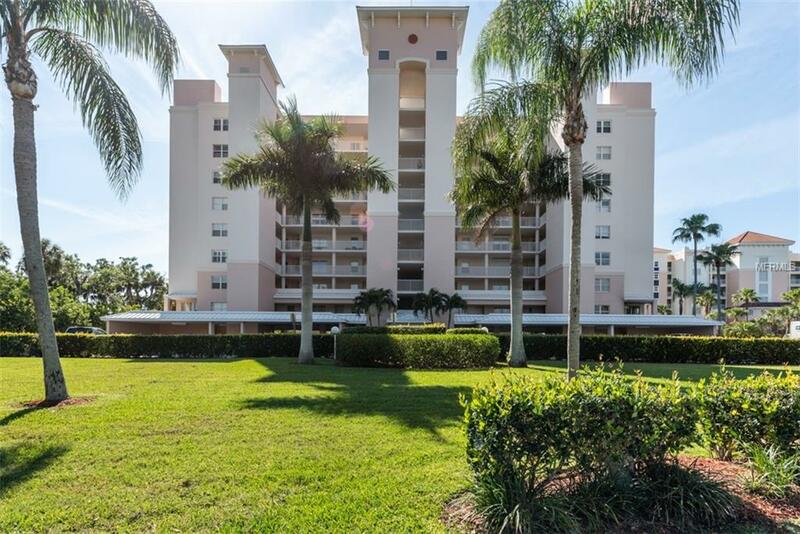 There is a magnificent view of the golf course from the front of the unit and the elevator is nearby. 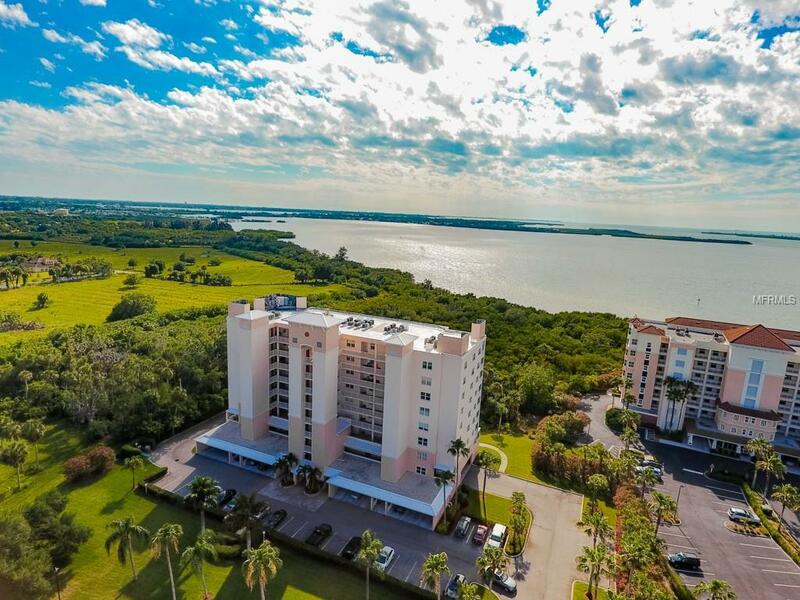 This gated community includes a heated pool, spa, clubhouse, tennis courts, biking, fishing dock, and an 18 hole executive golf course that not mandatory to join. Sarasota-Bradenton International Airport is less than 13 miles away and Tampa International Airport is only a 45 minute drive. Easy access to I-75 and Ellenton Premium Outlets Mall is 15 minutes away.